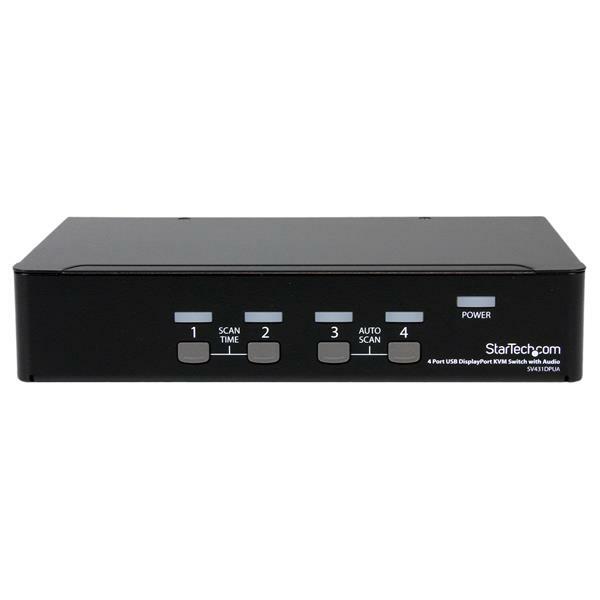 The SV431DPUA 4 Port USB DisplayPort KVM Switch with Audio combines next generation display standards with seamless KVM control of up to 4 connected PC or Mac computers. 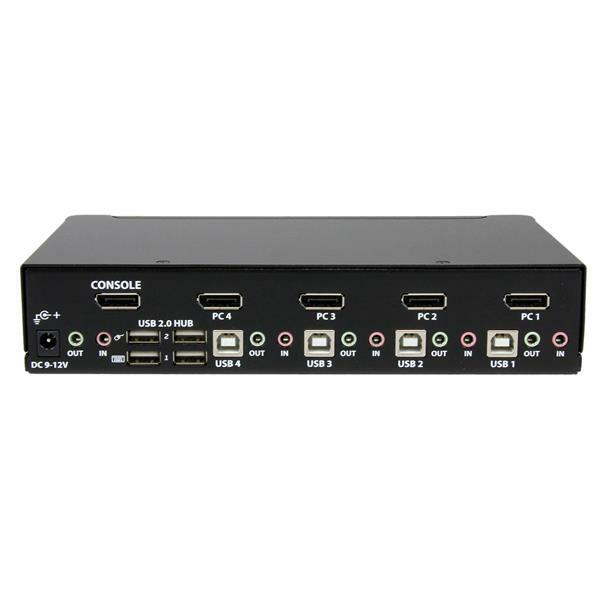 Featuring DisplayPort resolutions of 2560x1600 @60Hz, as well as offering both 7.1 HD digital audio (with supporting displays and sources) and separate 3.5mm stereo audio support. 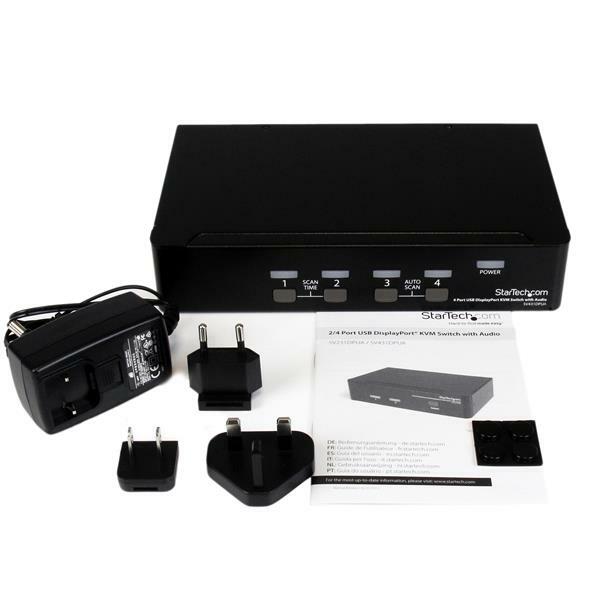 An integrated USB 2.0 hub allows you to share 2 additional peripherals among attached computers as if they were directly connected. 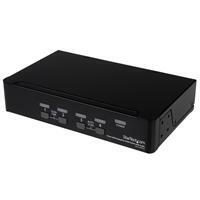 Suitable for high quality static imaging applications such as health care (MRI, X-ray diagnostics, etc. ), a maximum resolution of 3840x2400 is supported at reduced refresh rates. A simple yet comprehensive solution, the 4-port KVM features both front-panel push-button and hotkey switching, and offers a small form factor with rear connection ports, to minimize workspace disruptions.